We had posted a while ago that Samsung had recruited British (sheâ€™s actually a Brummie, explains why I canâ€™t understand her..!) 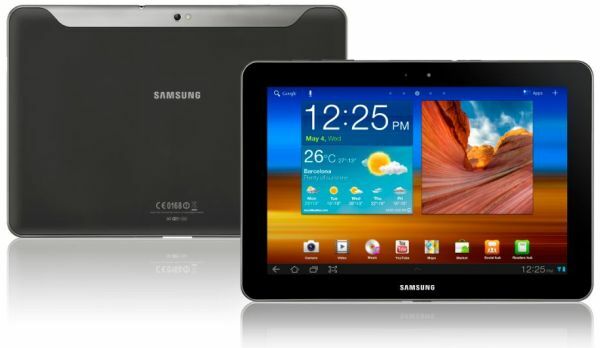 actress Cat Deeley to help promote their new tablet, the Samsung Galaxy Tab 10.1. Weâ€™ve managed to track down an â€œexclusiveâ€ behind the scenes video of that photo shoot Cat took part in alongside the Galaxy Tab 10.1. In the â€œbehind the scenesâ€ video, Miss Cat Deeley describes exactly what she loves about the Galaxy Tab 10.1 which includes the thinness of the device, the fact that it has a camera so she can Skype her family when sheâ€™s away working in America (itâ€™s ok for some eh..), and one feature that actually made me laugh when she said it.. The fact it can play flash videos through the browser! Now Iâ€™m not sure if she came up with that dig at another well-known tablet maker herself or was prompted to by Samsung, but either way it made me chuckle!